The son of an aristocrat killed himself weeks after his family was told he did “not fit the criteria” to be readmitted to a mental health hospital, an inquest heard. Rupert Green, 21, the son of Lord Nicholas Monson, hanged himself in the garden of his mother’s Surrey home after suffering psychosis which his family believe was triggered by skunk cannabis. Rupert’s mother, Karen Green, said she texted a mental health nurse the day he took his own life asking for help – but got “no reply”, the inquest heard. In the months before his death in January 2017, he had also threatened to kill himself several times and spent three weeks in a mental health unit, the hearing was told. He was rushed to hospital after his mother found him during a police search, but died after five days on life support. Surrey and Borders NHS Foundation Trust, which cared for Rupert, launched an investigation following the claim he was denied a hospital bed. Rupert’s death followed the death in 2012 of Lord Monson’s other son, Alexander Monson, 28, who was reportedly beaten in police custody in Kenya. Mrs Green said weeks before the death he asked to return to hospital after his earlier release for mental health problems. She said: “Before Christmas 2016 Rupert asked to be readmitted to hospital. In the days before his death he then reported hearing voices, the inquest heard. Mrs Green said: “He said he was the son of God, people made the sign of the cross when he walked by and called him shepherd. Later that evening he was seen by his grandmother holding a knife but denied he was trying to harm himself. He then went missing shortly after and a police helicopter called to help the search spotted him in the garden of Mrs Green’s home. The inquest heard Rupert’s life had “appeared to be proceeding smoothly” until his family spotted problems in the Easter holiday of 2016. He claimed roommates at the University of Essex, where he studied biology, were spying on him. Rupert then returned home from university in summer and went to visit his father, but returned home shortly after, following an argument. She said: “He said that his father had been unreasonable. 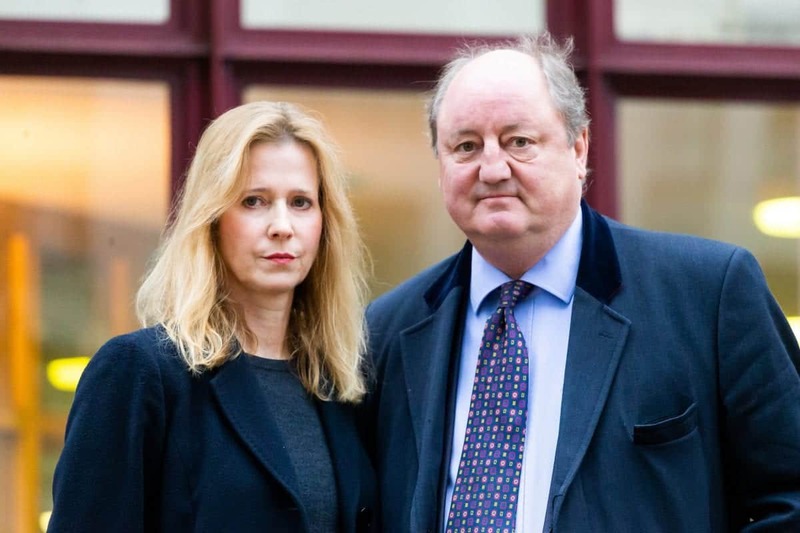 Lord Monson told the inquest Rupert had become aggressive when he questioned the claim he was being spied on. Mrs Green said Rupert’s behaviour prompted her to arrange a GP appointment for him, but “nothing happened” when he told the doctor he was depressed. He was eventually referred to an Early Intervention and Psychosis Team two weeks later and prescribed medication, including diazepam, on September 20. But he then returned to university in October despite his mother’s wishes, she said. The inquest heard after he returned to the campus, in Colchester, he asked his dad for money, which prompted an argument about drugs. Lord Monson said he refused to hand over cash, but offered to pay Rupert’s accommodation bill and buy food vouchers. He said: “He said, ‘you think I’m going to spend the money you send me on drink and drugs’. “He said, ‘well I am’, and I said, ‘right well I’m not sending you any money’. “He said to me a few expletives and he said the night before he had tried to kill himself by running around in front of traffic but this time he was going to make a proper job of it and stand in front of a train. Police were called over the suicide threat and Rupert then spent three weeks in a mental health unit, the inquest heard. Mrs Green added: “He was sent home after three weeks and claimed he was okay. Describing how the mental health issues affected his son, Lord Monson added: “He was a very good artist. Lord Monson since launched a “war on skunk” calling for decriminalisation of weaker forms of cannabis to prevent abuse of stronger strains. The inquest, at Woking Coroners Court, continues.